How to help build informal learning habits in your office. For almost any business, the key to staying ahead in a competitive marketplace rests in the hands of its employees. Finding and retaining talented team members can be a challenge, and doing so often means providing ways for those employees to develop and grow. While many organizations turn to various formal learning courses, they should also consider the benefits of informal learning. Informal learning refers to the kind of learning most of us engage in whenever we tackle a problem at work or indulge our curiosity. Many of us don’t think of this as learning, because it doesn’t match the kinds of formal learning we recognize from the classroom—lectures, seminars, and organized lessons. However, informal learning can have many benefits for businesses and individuals alike. It improves employee training, builds moral, and inspires creativity. Most of us couldn’t do our jobs without it. That said, organizations can affect the extent to which employees engage in informal learning while at work. It’s easy for a manager to view informal learning as a distraction, or for employees to avoid sharing skills with each other if they’re under a time crunch. However, organizations that support and encourage informal learning are more likely to stay on top of emerging industry trends, attract talented employees, and produce innovative results. If that sounds like the culture you’d like to create in your organization, here are a few ways you can support informal learning in your offices. Employees will always be accountable for the work they have due. But in most offices, workflow fluctuates. One day an employee might have a full day’s work to accomplish, while the next they may face an entire afternoon of unexpected downtime. Such downtime is often frustrating for employees, especially if their office has installed a website blocker in an attempt to cut down on “distractions.” But what if employers encouraged workers to make the most of this time by learning something new? With such a policy in place, employees would feel less inhibited about exploring their interests, so long as their work gets done on schedule. If actively encouraging your team to spend their downtime building their informal learning habit sounds revolutionary, some offices take it further by specifically earmarking a certain number of hours a week for their employees to spend on side projects. For these businesses, informal learning is a new way to invest in employee growth and talent management. Not everyone follows the same policy, but it’s certainly worth the experiment. We’ve written before about some of the positive side effects of running a blog. Why not encourage the same practice in your office? Open your company blog to more employees, and encourage them to post about industry-related topics. 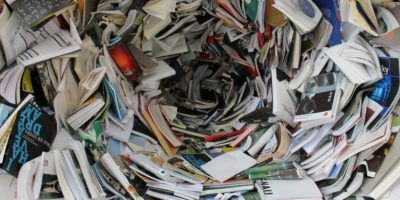 Or, if you have a pretty solid marketing strategy in place for your blog and don’t want to derail it, consider making it an internal publication. You could even suggest your employees post more frequently to their personal blogs. After all, good writing skills are worth encouraging in any workforce. Some people enjoy blogs, others prefer presentations. Both are viable ways to promote informal learning and knowledge sharing within an office. If you run a weekly team meeting, you could devote five minutes of each session to a presentation from a coworker. Or, you could run a monthly presentation lunch for whoever wants to share a topic. Furthermore, presentation opportunities help employees become more comfortable speaking in front of audiences. If one of your team members puts together a particularly exceptional presentation, it may be time for that colleague to represent your team elsewhere—such as at a conference or a webinar. How does your office typically share information with each other? If you have an internal forum, you could create a discussion board dedicated to interesting articles. Or, if you use a chat platform such as Slack, you could dedicate a channel for similar posts. When coworkers share ideas with each other, it helps everyone stay on the same page and work together as a team. 6. Democratize it (anyone’s a teacher). They say the best way to learn a thing is to teach it. If you’ve ever taken time out of your work day to show a coworker how to complete a task, you probably understand the feeling. Workspaces that encourage knowledge sharing don’t just see better results with employee training. They also boost the confidence of those who share their skills with others. Training doesn’t have to be top-down. New hires often bring with them ideas and experiences that can help an organization break out of a rut. While new coworkers have a lot to learn as they come up to speed in their new environment, they also have a lot to share. It’s worth listening to them—you never know what you’ll learn! Informal learning often leads to formal learning. You might have noticed a pattern in the above examples: in many of them, what started as an exercise in informal learning (following an interesting trail of links on the Internet) turned into something more formal. Learners began with a topic they found interesting, and by the time they finished they had enough experience to instruct others. This shouldn’t come as a surprise to anyone who loves learning. When you develop a passion for something, it’s hard not to talk about it with other people. When you become really passionate about it, it may even turn into a career.